The westbound lanes of Route 422 will be closed and detoured overnight at the Route 100 Interchange in North Coventry Township, Chester County, for four days next week. According to PennDOT, the lanes will be closed from 9 p.m. to 4 a.m. from Tuesday, Feb. 16 through Friday, Feb. 19 for the placement of 10 concrete beams for a new bridge being built over the Schuylkill River in North Coventry and West Pottsgrove Township, Montgomery County. Westbound Route 422 traffic will be detoured and directed onto Route 100 North. Drivers will follow Route 100 North to westbound High Street, and take High Street west to return to Route 422 West. Motorists are advised to allow extra time for travel through the area. As part of a $36.2 million project, contractor J.D. 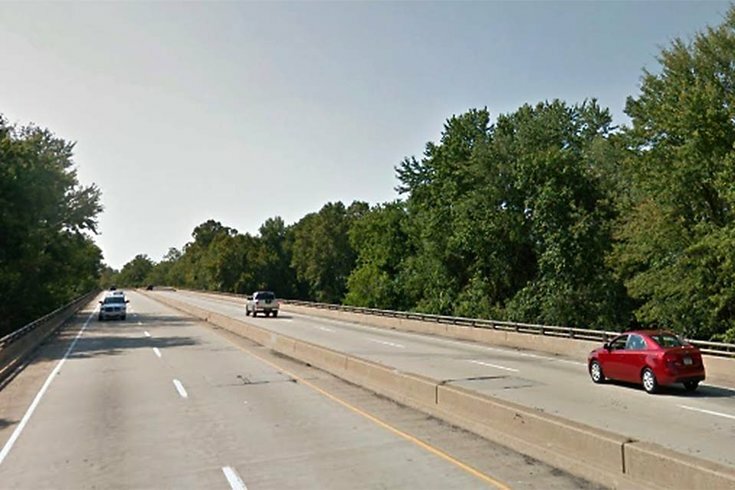 Eckman Inc. of Atglen, Chester County, is continuing work to replace the westbound Route 422 bridge over the Schuylkill River between the Route 100 and Stowe interchanges. The eastbound bridge is currently carrying one lane of eastbound and westbound traffic over the river. Planned for three phases, the westbound Route 422 crossing will be replaced first. The eastbound will be rebuilt in stage two, and the center median in the final stage. Construction is scheduled to finish in September 2018. The new bridges will be longer and wider. The project is fully financed with funds from Act 89, Pennsylvania’s transportation plan. The project is the second of six to be constructed as part of PennDOT’s program to rebuild and improve seven miles of Route 422 between the Berks County line and the Sanatoga Interchange in Montgomery County.